The location was excellent. We enjoyed sitting on the patio, watching the surfers and seeing the sunset. The kitchen was well equipped for cooking a meal in. We would definitely like to come back again! Even better than it's photographs. The location is first class. Very well equipped apartment and very well finished. Everything. The views, the bed was very comfortable, the staff very helpful. Excelentes vistas de la costa y próximo a la playa. Amazing views. Huge balcony area. Staff very lovely. 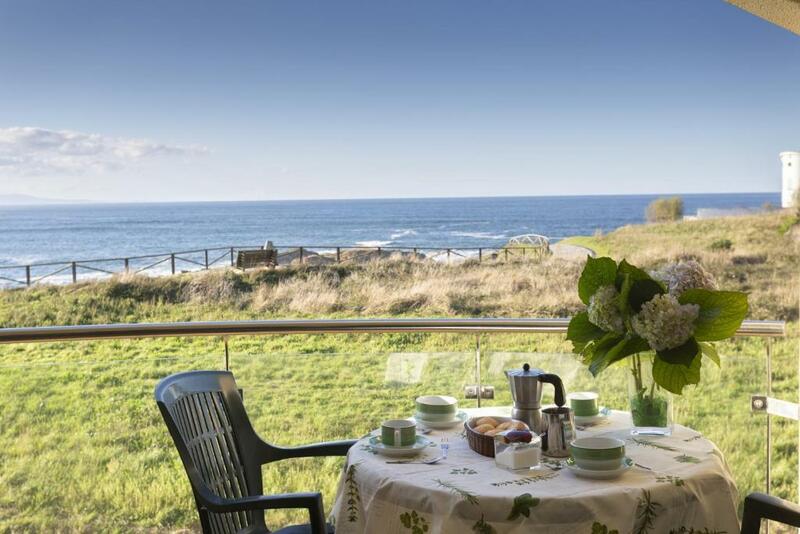 Clean, tidy and spacious apartment that looks out onto the beach and water. Very nice, would recommend to others. La ubicacion es perfecta,justo en frente del mar. Nosotros fuimos en temporada baja y estaba muy muy bien de precio. Nos parecio un alojamiento perfecto. Es war sehr schön, wie schon 2015, 2016, 2018. Die Ausstattung ist top, das Personal sehr freundlich und die Lage unschlagbar. Immer wieder gerne. La situación es excelente y el apartamento está bien equipado y limpio. 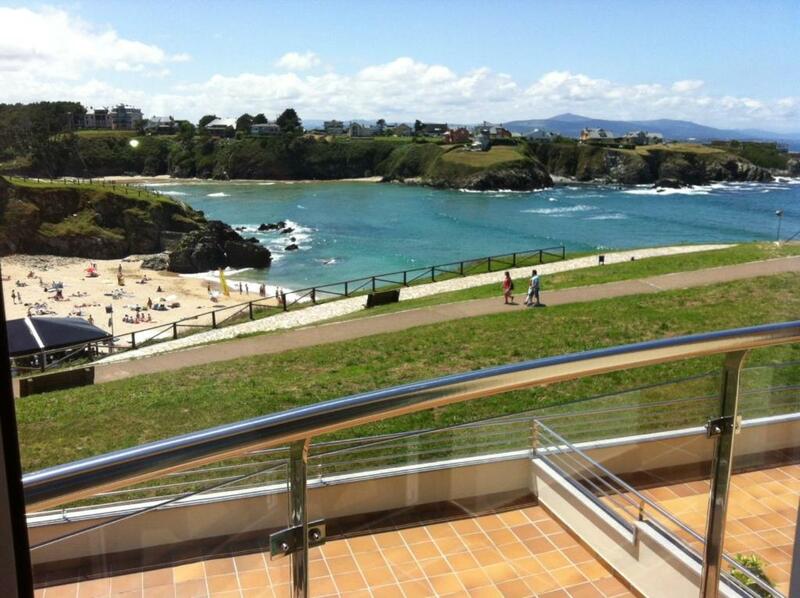 Lock in a great price for Apartamentos Turísticos Playa de Tapia – rated 9.6 by recent guests! 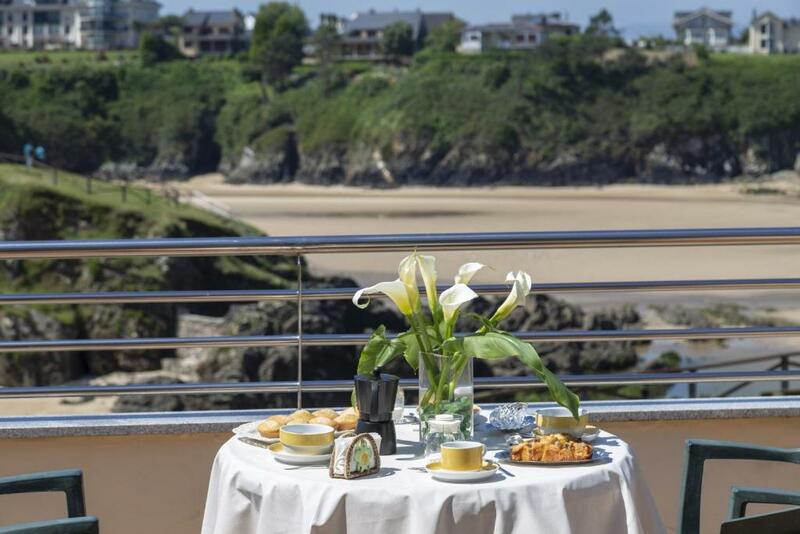 Apartamentos Turísticos Playa de Tapia This rating is a reflection of how the property compares to the industry standard when it comes to price, facilities and services available. It's based on a self-evaluation by the property. Use this rating to help choose your stay! One of our best sellers in Tapia de Casariego! 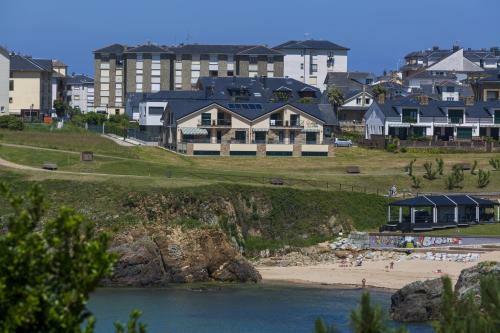 Apartamentos Turísticos Playa de Tapia overlooks Murallón Beach in the Asturian fishing village of Tapia de Casariego. 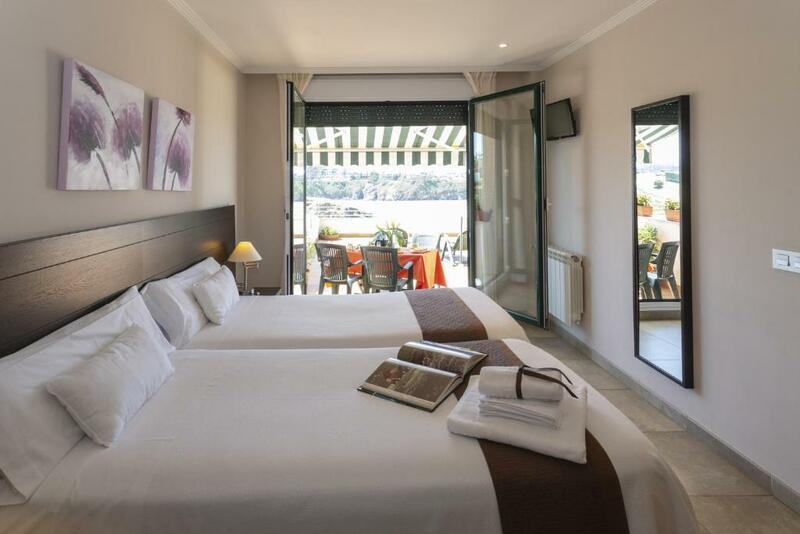 It offers a modern gym and accommodations with free Wi-Fi and a private furnished terrace. Spacious studios and apartments are heated and all have a safe, washing machine and bathroom with a hairdryer and toiletries. The living room features a sofa bed, flat-screen satellite TV and DVD player. A fridge, microwave and coffee maker can be found in the kitchenette. Free parking is available at the apartments and luggage storage is offered. There is a games room, a library and table tennis table. The complex has a tour desk and offers easy access to the A8 Motorway. Lugo is 60 mi away. 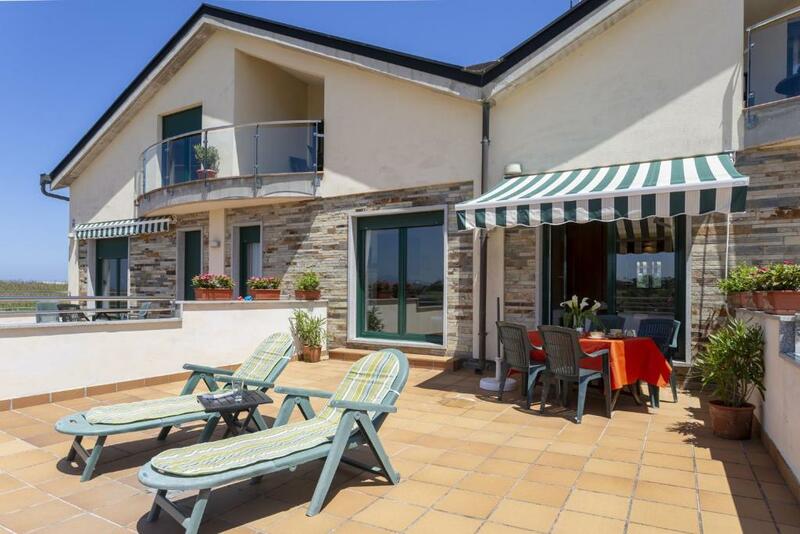 This property also has one of the top-rated locations in Tapia de Casariego! Guests are happier about it compared to other properties in the area. 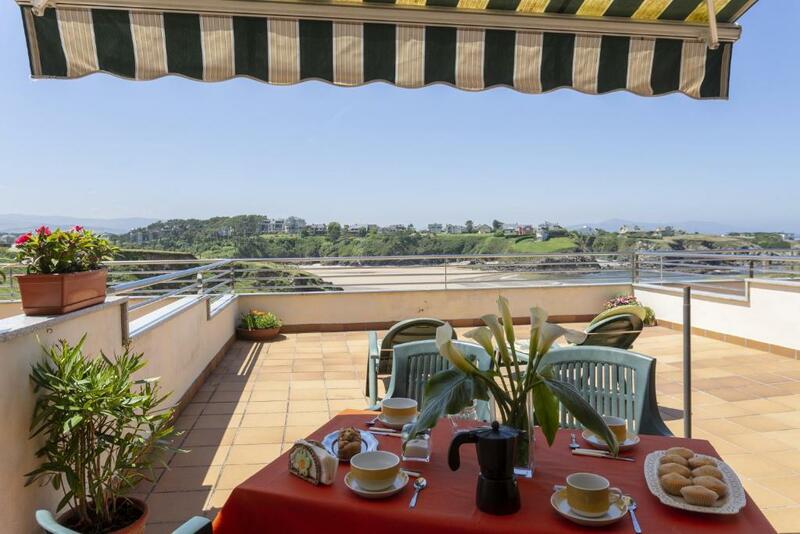 This property is also rated for the best value in Tapia de Casariego! Guests are getting more for their money when compared to other properties in this city. 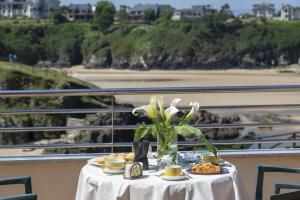 When would you like to stay at Apartamentos Turísticos Playa de Tapia? This spacious, heated studio comes with a furnished terrace and a lounge area with a flat-screen satellite TV and a DVD player. The kitchen includes a fridge, a microwave and a coffee machine; while the bathroom comes with a washing machine and a hairdryer. This apartment features a kitchenette, kitchenware and oven. This apartment features a washing machine, toaster and kitchenware. This apartment features a seating area, DVD player and kitchenette. This apartment has a kitchenware, DVD player and toaster. 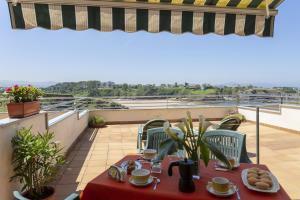 House Rules Apartamentos Turísticos Playa de Tapia takes special requests – add in the next step! Apartamentos Turísticos Playa de Tapia accepts these cards and reserves the right to temporarily hold an amount prior to arrival. Guests are kindly requested to inform the apartments in advance of their estimated time of arrival. This can be noted in the Comments Box during booking, or by contacting the apartments using the contact details found on the Booking Confirmation. Cleaning is provided daily, except Sundays, and does not include the kitchen area or dishes. Bedding is changed every 4 days and towels are changed every 2 days. A blender is available in the apartments. 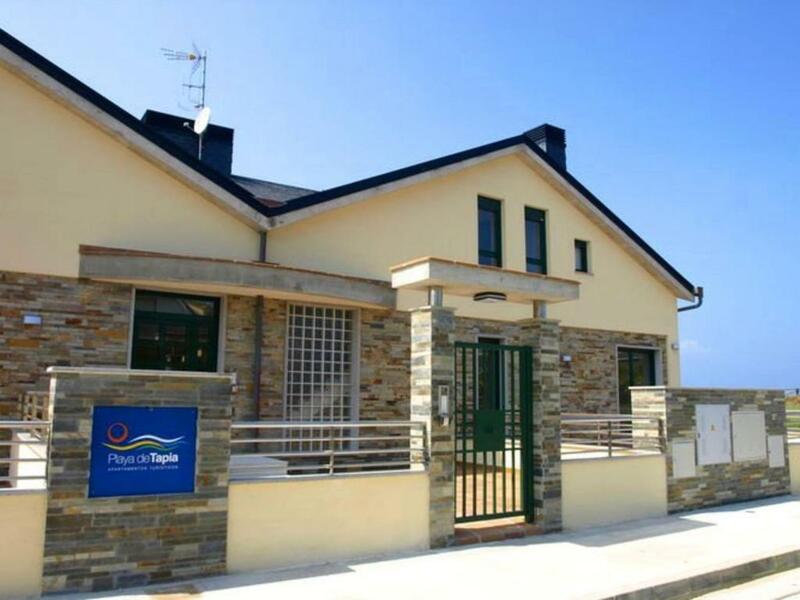 Please inform Apartamentos Turísticos Playa de Tapia of your expected arrival time in advance. You can use the Special Requests box when booking, or contact the property directly using the contact details in your confirmation. Very difficult to find. the signs were poor it took us ages to find the building. One other couple h ad to ask the local police to take them to the apartment.